What initially looked like a Man of Steel sequel with Batman being on par with Superman in terms of role importance now seems to become a Batman show instead. 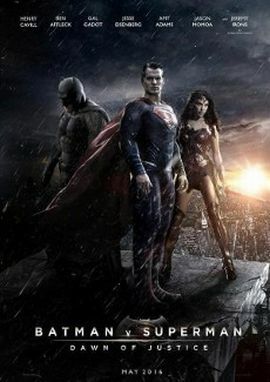 As rumors suggest, Batman's role in Batman v Superman - Dawn of Justice is supposed to be more dominant than Superman's. Especially interesting is whether that only affects the character's presentation or also story elements that previously were more geared towards Superman, thus also potentially affecting Lois Lane and Lex Luthor. There are many reasons for such considerations. While another Batman movie with Ben Affleck is already set in stone, another solo film with Superman has been put on hold for now. Also, the script for BvS was reworked by the Argo writer after Affleck joined the production. It's doubtful that this move will benefit Henry Cavill who most recently had a theatrical flop at Warner with The Man from U.N.C.L.E..
Batman v Superman hits US cinemas on March 25th, 2016. Let's hope Wonder Woman's part doesn't get less attention.